Place the mozzarella, garlic and preserved lemon on a platter and spoon over the oil. Cover and refrigerate for 1 hour or until ready to serve. Heat the extra oil in a non-stick frying pan over medium heat. Cook the basil for 30 seconds or until bright green and crispy. Remove from the pan and drain on absorbent paper. 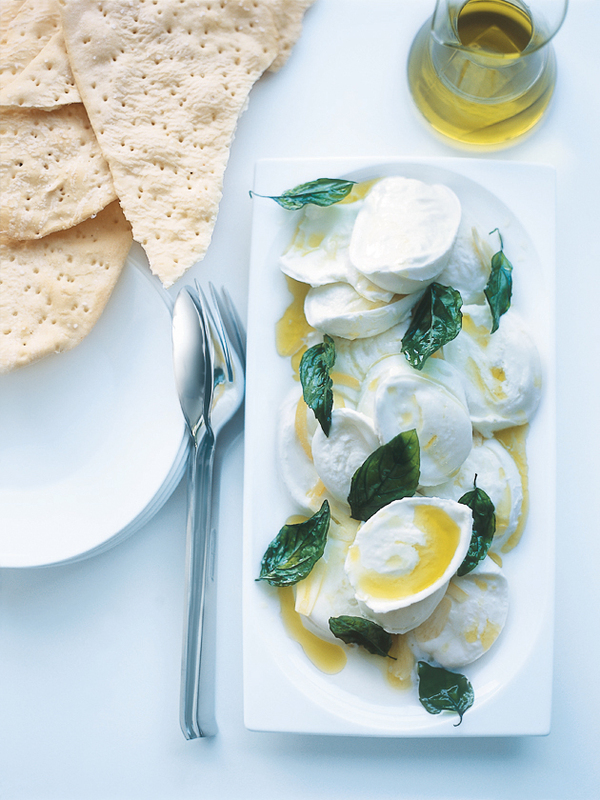 Top the mozzarella with crispy basil leaves and serve with the flatbread. Serves 8.